Andrei Cretulescu was born in 1974. He is a Foreign Languages graduate, he contributed to several of the best-known Romanian magazines as a film and music critic. He began working for HBO Romania in 1999. He became Senior Writer/Producer in 2004. 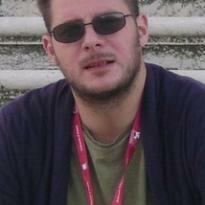 Since 2006 he is consultant for the acquisition of Romanian films and in 2009 he was appointed Creative Manager. Besides his jury duty in various film festivals, since 2005 he is a jury member of the HBO/TIFF National Script Contest and since 2008 is the Artistic Director of the Bucharest International Film Festival.